There you are, trying to put together your Spain itinerary, but where do you start? There is so much to not only see, but to experience in Spain! It has plenty of gorgeous coastlines, north and south, all different types of terrain and climates, and a rich cultural diversity of regions and history. While there’s the typical sightseeing aspects of visiting Spain, it can be easy to discover other local treasures, even when you’re only visiting. Simply learn from us. We’ve been there. Done that. And are thrilled to share it with you. We’re talking metropolitan meets old-world, take you back in time rural villages, dramatic lush-green coastline, epic medieval castles, and mediterranean beach towns, all accentuated by iconic (and surprising) local gastronomy along the way. Our Spain itinerary is great for your first-time to Spain or a return trip, and especially geared for those drawn to less-known locations (with of course some well-known locations in there as well). Equipped with our Spain itinerary’s maps, local insight, and tips for customizing your trip, it’s time to bring to life those visit-Spain-dreams of your’s. Above Image – Yep! That would be one of our many ‘groupies’ we took with our guests who inspired this Spain itinerary. Here, we’re in the park in front of the Royal Palace in Madrid. 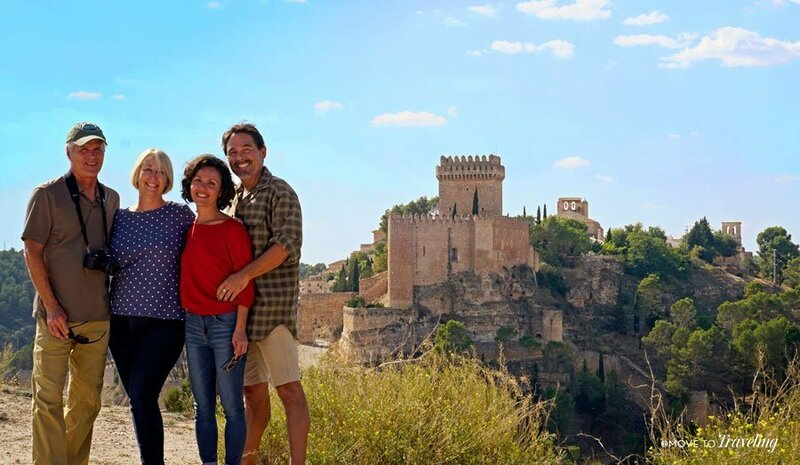 This Spain itinerary that we’ve created, was actually inspired by Amalia’s dad and stepmom visiting us in Spain for their first time. While they wanted to have a relaxing time in our home-base of Denia on the Mediterranean Coast, they also wanted to see the coast of Spain opposite from us, Asturias. With two weeks (15 days) as our schedule, we crafted the trip with a balance of short and longer stays, as well as known and less-known locations in both city and villages. It turned out beautifully! What this Spain itinerary uniquely highlights, is seeing parts of both the northern and southern coasts of Spain, while also enjoying the center of the country. We mix it up with some metropolitan time in the splendid city of Madrid, the contrast of traditional fishing villages on the northern coast, a countryside medieval village, and a Mediterranean beach town. Better yet, this isn’t your typical Spain itinerary because while we do have some well-known destinations included, we focus on visiting places that are less-frequented by first-time visitors to Spain. It’s ideal for experiencing some of the local culture and diversity of the country’s regions. For getting around, we based our Spain itinerary on having a rental car for the entire time. Great news is, even this can be adapted and we’ll provide some alternative recommendations on how you can rent a car in Spain for only half the time. This also provides opportunities to experience traveling by train in Spain. While we did this trip in early October, it can also be great for late spring and summer months. The benefit of our timing was that we had great weather, off-season lower prices, and little or no crowds. 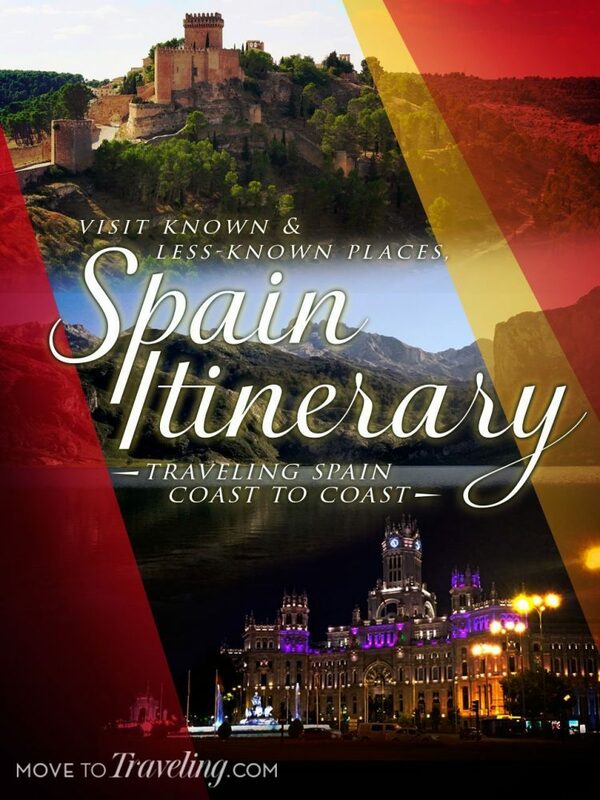 Now, onward to a fantastic experience of Spain with this Spain itinerary. Above Image – A glorious view of the Royal Palace of Madrid and its neighboring Catedral de la Almudena. What can be more wonderfully iconic than starting your Spain itinerary by arriving into the heart of Spain? Madrid! 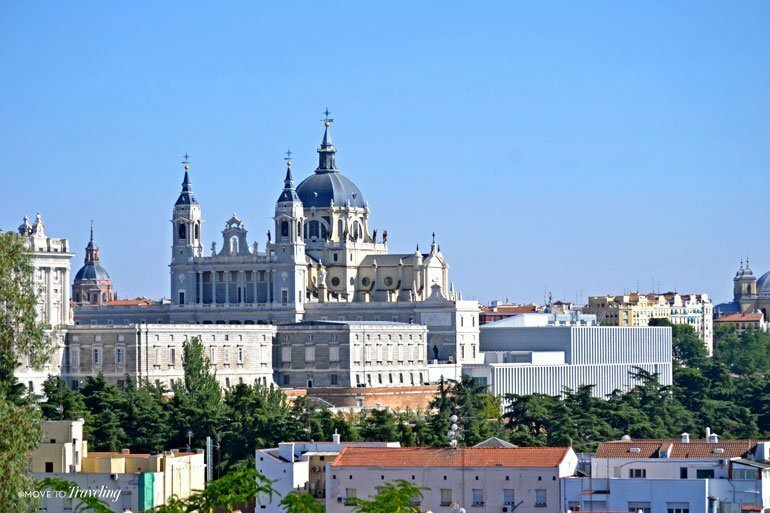 Located in the very center of the Iberian Peninsual, Madrid is Spain’s largest city and its capital. This bustling metropolitan city is a thrilling combination of historical and modern-day Spain. It’s also a great starting point because it’s so central for seeing the rest of the country. Madrid’s Barajas International Airport is one of the easiest ways for arriving into Spain, with plenty of flights from all over the world. If you want to drive north after your time in Madrid (like we did), we recommend renting a car from the Madrid Airport, which is usually in terminal 1, but in some cases can be terminal 4 depending on where you’re flight originated. An important car renting tip: DO NOT pick your car up on the first day. Instead, schedule the pick up for the day you leave Madrid. This is because having a car for visiting the center of Madrid is not necessary, driving in the center is stressful, and parking is expensive. So do yourself a favor, and don’t have a car while staying in Madrid. Above Image – The Puerta de Alcalá. Assuming your accommodations are in the center, here are options for getting there from the airport, and back again. Taxi is the quickest and easiest way. It’s a 30€ flat rate and takes about 30 minutes to the center. There are plenty of public taxis to choose from at the airport and it’s not necessary to schedule one if you’re not a large group. This is especially a great option if you’re traveling with more than 2 people and can split the cost. The metro or subway train, to the center. It cost 5€ each person and takes about 40 minutes. This is below ground most of the way. Take into account, that you may have to change trains, which can be confusing, and once you get off at your stop, you may have some blocks to walk with your luggage. The shuttle bus, which takes approximately 45 minutes. This cost the same as the metro, €5, and sometimes is so full there’s only standing room. We would not recommend this if you are arriving after a long flight and may have jet lag. Similar to taking the metro, keep in mind how many blocks you may have to walk once you get off at your stop. Above Image – Don’t forget to look up! The top of one of the many buildings along Calle Gran Vía. Website for booking tickets directly: renfe.com. Be aware that you may have trouble purchasing tickets with a credit card that is not based in Spain. Trains to Asturias and the north leave from Estacion Chamartin, in the northern part of the city. There are two major train stations, with the other being the Atocha Station which is more in the center. When it’s time to catch your train, don’t get the two stations confused! Take the train to Oviedo or Gijon, which takes at least 5 or more hours. In Oviedo or Gijon rent a rental car for your time in Asturias. It is far easier and more time efficient to get around this region with your own car. There is also an airport in Asturias, right on the coast, west of Gijón and between Cudillero and Aviles. Flights there from Madrid, and various other places in Spain, can be very cheap and it’s a short flight. We stayed in an AirB&B in the Barrio de las Letras neighborhood. It was a great location, but smelled strongly of sewer water. Watch out for that in places that are in older, historical buildings, which yes, is a lot of the buildings in the center. Of course, there are plenty of options for apartments or hotel rooms in this major city. We recommend staying in the center neighborhoods of either Barrio de las Letras, Sol, or Austrias. Above Image – The Estanque Grande, a pond with rowboats, in the beautiful El Retiro Park. Now, there’s a lot you can see, do and eat in Madrid, which we know after having visited several times over the years. With this Spain itinerary, we were only there for 1 day and 1 night. 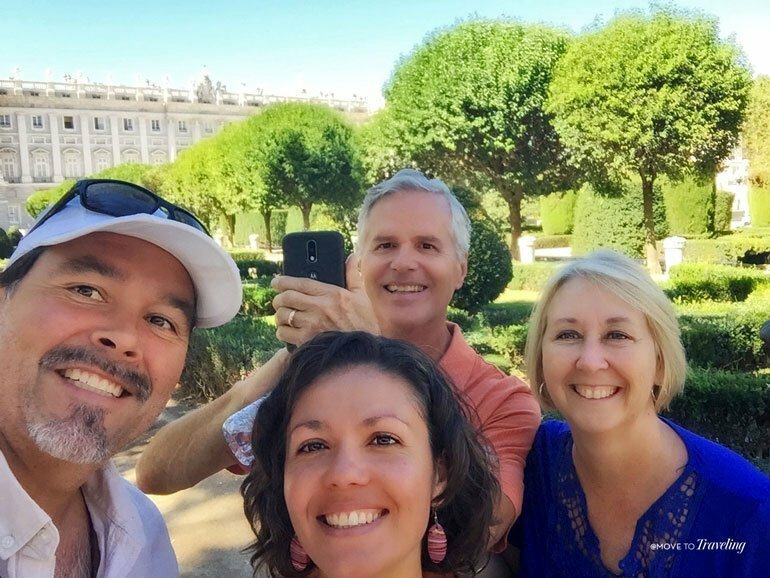 Our quick introduction of Madrid with our guests turned out great because Amalia’s dad and stepmom arrived into the Madrid Airport around nine in the morning, and then they were willing to stay awake all day by staying on the move. Yeah, they were tired throughout the day, but still enjoyed everything we did and it helped them adjust rapidly to the time change from the US. With all that being said, we highly recommend you stay 2 days and 2 nights, especially if you’re excited to see Madrid. 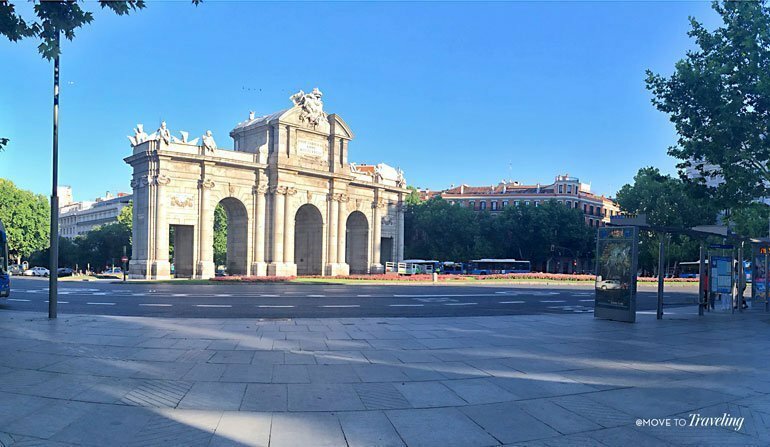 What is the best way to maximize your time in Madrid? We suggest taking the hop-on, hop-off tour bus. This helped us get around easier and to see as much as did. Where we bought our tickets and got on, was at the main ticket stand just in between the Prado Museum and the Ritz Carlton Hotel Madrid. The places recommended below, are in the order we visited them and correlate with the tour bus’ Route 1, Historical Madrid. Above Image – Great views from the top of the double decker tour bus. 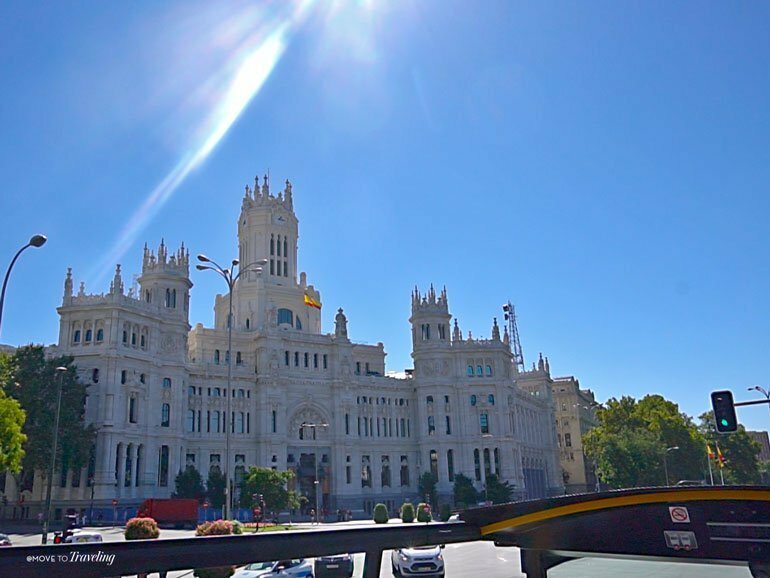 Take the Madrid City Tour open top, double-decker tour bus, which you can hop-on, hop-off as much as you like. We’re not usually into touristy things like this, but it can be a great option for seeing more in less time, conserving your energy, and getting around the center easily. Tickets are only 19€ each for a one-day. Visit the Puerta del Sol, the very center of the Iberian Peninsula. It actually means kilometer zero, because it’s where all of Spain’s building numbers and highways start from. Visit the Royal Palace. Tours are available for seeing the inside or just admire the outside architecture and its surrounding parks and gardens, like we did. Savor tapas and vermút de grifo at El Anciano Rey de los Vinos. Order the ‘Regalitos de Torito’ – rabo del toro (stewed ox tail) in puff pastry, topped with red peppers. This has a great location just across from the Royal Palace. We did this as a light lunch, since we were saving room for more tapas along the way. Visit the historical Plaza Mayor, with its statue of Phillip III and the iconic inner square lined with restaurants and shops. Above Image – Eating and drinking our way around the Mercado San Miguel. 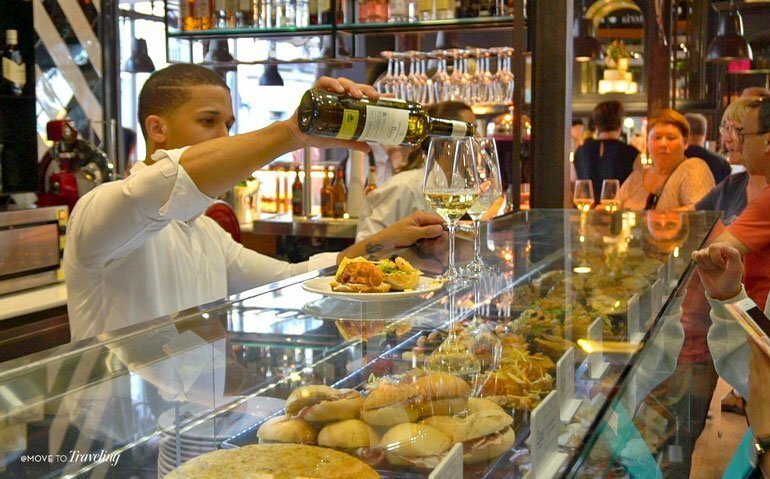 Shop and eat tapas at the Mercado San Miguel, a historical gastronomical market that has been beautifully renovated. A tip – don’t get the jamón (ham) here, because it’s way more expensive than in other places. 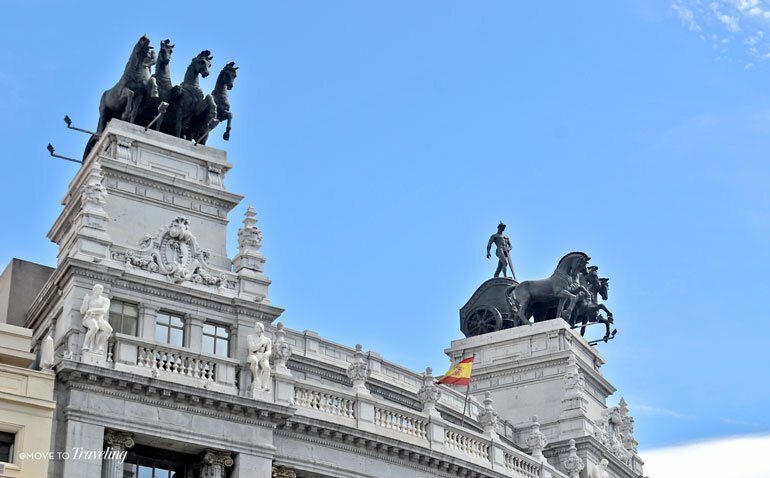 Visit the Prado Museum, especially if you’re interested in seeing art. This is also worth visiting just for admiring the outside and walking around the beautiful building, which is what we did. It’s conveniently located in between the Barrio de las Letras and El Retiro Park. 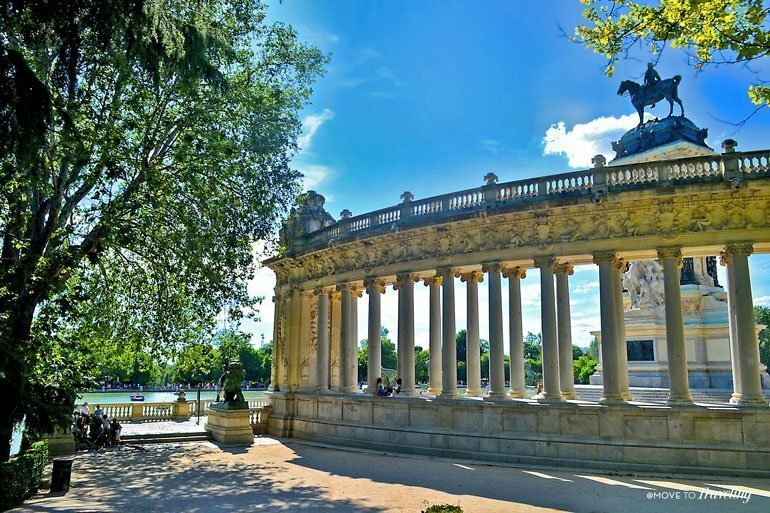 Visit El Retiro Park and enjoy walking around to see the fountains, small lake, statues and the Crystal Palace. Or, rent and ride bicycles to cover more ground since it’s a large park. Either way, stop at the various little cafes for a nice drink under the diverse array of trees. Walk around the Barrio de las Letras, a historical area famous for the Spanish poets Cervantes, Quevedo and Lope de Vega. When here, especially make sure to stroll along its popular street, Calle de Huertas, which is primarily pedestrian and has poems of the renown poets inscribed down its center. For a nice dinner to end the day, we ate a delicious meal at El Caldero. They specialize in food from Murcia, Spain and are located on a corner of Calle de Huertas in the Barrio de las Letras. 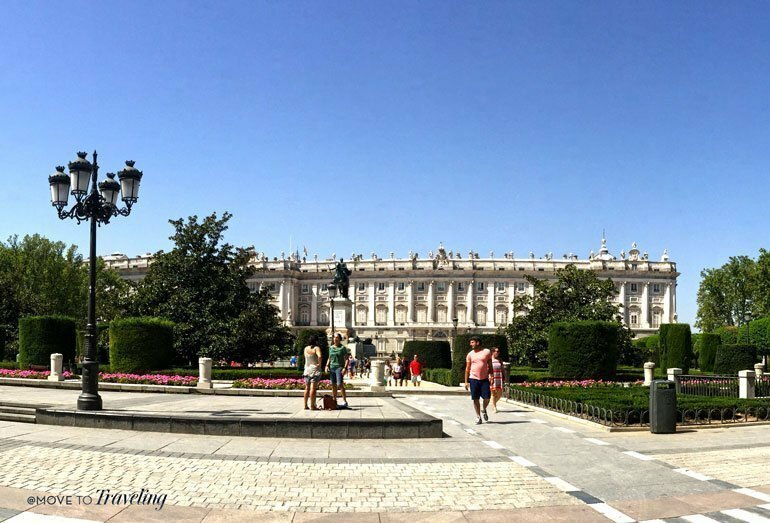 For even more ideas on what to see in Madrid, read our post: Our Favorite Things to Do in Madrid, and More. When you’re ready to move on from Madrid, make your way back to the airport for picking up your rental car (or whatever pick up location you arranged). You can refer back to the transport options above for how best to get there. Plan for a departure time that will give you plenty of daylight hours for the next part of the Spain itinerary – the drive north. To depart Madrid with a happy stomach, keep in mind that many cafes that serve breakfast may not open until after 8am or even later. So don’t plan on an earlier start if you want to eat breakfast out. If you’re in the Barrio de las Letras neighborhood as we were, we highly recommend breakfast at Brown Bear Bakery. They open at 8:30am and have deliciously authentic tostada con tomate (toast with tomato), great coffee, and fresh squeezed orange juice. Not to mention all the scrumptious pastries they make! We picked Cudillero for several reasons, but the biggest motivator was its picturesque beauty right on the ocean in Asturias. It’s a very tiny, traditional fishing village, full of multicolored homes that are terraced along the steep, lush green coast. Since it’s small, there aren’t tons of places to stay, but we had a great experience staying at the Hotel Casa Prendes and highly recommend them. The prices, especially in the off-season of early October, were wonderfully affordable and the accommodations were very nice. Another benefit of picking up your rental car from the Madrid airport, is that you are then out of the bustling city-center and more easily and quickly on the highway you will primarily be taking. The drive takes about 5-hours and is 518 km. Factor in the time to stop for lunch and breaks, and you’re realistically looking at 6 – 7 hours on the road. We opted to take the quickest route, which is a nice highway, but also has tolls. They totaled just under €20, but it’s worth it for the time it saves. This route is hilly at first and then as you enter into Asturias, it becomes quite mountainous. You’ll enjoy gorgeous views of the rich green landscape and see why they refer to the region as the natural paradise of Spain. Map Note – The map below includes additional points of interest along the way, which we talk about further below. For lunch, we lucked out when we stopped at a little hole in the wall place that was off a lonely exit. We don’t remember the name actually, because it wasn’t really advertised. It was the first menu del día experience for our visitors, which they really enjoyed and it was quite good. Many of the restaurants along this highway, tend to be like this, so you’ll have dining options along the way. There are also rest areas periodically and some have picnic tables if you decide to take a packed lunch with you. 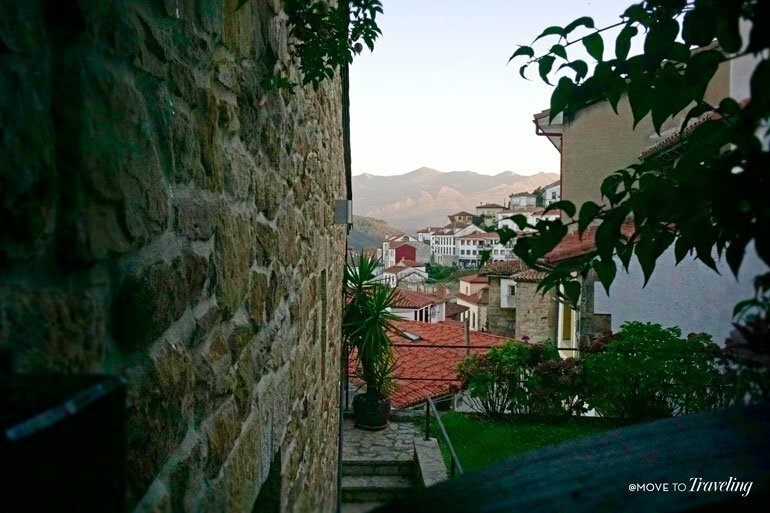 Once you’ve passed Oviedo, you’re only about 45 minutes away from the next destination of Cudillero. Getting there before dark is the best way to go, because entering the tiny fishing village can be tricky with its narrow and steep streets. They also do not allow parking in the center of the village, so you can drive up to your accommodations to unload your luggage, but then must park in the port. Don’t worry – it’s close by. Leon is right along this route. As the capital of the region of Leon, it’s a good size city and can be a good spot to stop at for lunch. Just remember that it will take more time to enter and then leave the city center. Next, and towards the latter part of the route, you’ll pass Oviedo, the capital city of Asturias. It’s just along the highway and is a charming large town. If you have time to stop there, venture into the very center and stretch your legs with a walk around their tree-filled Parque San Francisco and nearby Cathedral San Salvador. Or detour back here on another day during your time in Asturias. Oviedo is another great place to visit and/or stay at. There are wonderful accommodations that range in price. For a truly special experience, we recommend the historical Eurostars Hotel de la Reconquista. It’s location and style are wonderful. Above Image – One of the miradores along the walking paths of Cudillero. Being in Cudillero during off-season, some restaurants and shops were closed, so less selection. Fortunately, there were still a few good ones open, and our hotel had a nice breakfast that we enjoyed. Keep this in mind though for the time of year that you choose to visit. The main thing to do in Cudillero is to go walking. There are various walking paths that wind their way through the terraced levels of the village. All along the way are beautiful views, with three distinct view points, called miradores in Spanish. Historical buildings and the homes themselves provide architectural sites to enjoy. And then, of course, there is the food. The seafood is fresh and fantastic. If they’re in season, enjoy the zamboriñas. Then wash it all down with the local sidra, natural hard apple cider, as only they wonderfully make it in Asturias. To get the details on the walking paths, where we ate, and other things to do in Cudillero, read more in our post: Cudillero, An Enchanting Fishing Village on the Coast of Asturias, Spain. After a nice breakfast at our hotel, we spent half of this day in Cudillero exploring the walking paths throughout the village. Then, when we headed out, we went a tiny bit west to a wonderful cape called Cabo Vidio. It’s only a 15 minute drive west from Cudillero, passing through an even tinier village called Oviñana, before reaching a spectacular viewpoint and a lighthouse. Before getting to the lighthouse, is the first viewpoint, which is called Mirador de Cueva. We stopped there at the small parking area and took the 10 minute trail down to the beach that is on the west side of the cape. Above Image – On the rocky, pebbly beach of Cabo Vidio. After exploring this small, yet stunning, bay we started on our way to Lastres, stopping for lunch in Oviñana. There were only two places open here, and while the place we stopped at was decent, we recommend getting lunch further along the way to Lastres. Playa Aguilar, a beautiful sandy beach that is easy to drive to. The town of Aviles and its medieval center. The port city of Gijon. Take a free tour of a Sidra Bodega at El Gaitero near Villaviciosa. Map Note – The map below includes the additional points of interest along the way. 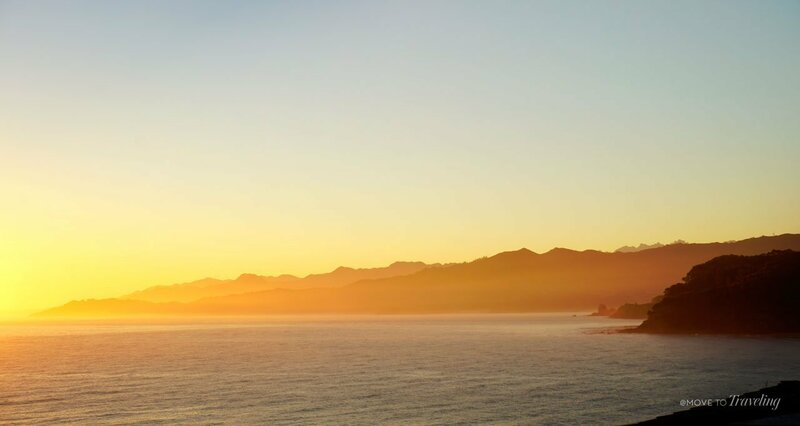 The sunsets in Lastres are gorgeous, so we recommend arriving before dark if you can. We stayed at Hotel Eutimio, which was fantastic. This charming, boutique hotel was the highlight of our stay, although we were sad that their restaurant was closed for the two days and nights that we were there. It is known as one of the best restaurants in the area. Strolling along the old, narrow paths of the town is the main thing to do here. It’s right on the water and has an old chapel high on the bluff that rises to the west of the town. Walking up to this high point gives even more views all along the coast, and in the town center is its old-world church. Playa la Griega, a beautiful nearby beach. Museo de Jurásico de Asturias, a Jurassic Period museum. This is quite the sleepy town during the off-season, which was perfect for enjoying the peacefulness and old-world charm. Most of all, it was a great base for our inland excursion that we enjoyed the next day. Above Image – The Basílica de Santa María la Real de Covadonga. Where does one even begin to describe Covadonga? We’ll try our best. Covadonga (also referred to as the Santuario de Covadonga) and its high mountain Lakes of Covadonga, are located at the north entrance to the impressive mountain range, Picos de Europa (the first national park in Spain). It is a very important and special place to the people of Asturias and Spain, an icon of their identity. Holding immense historical, spiritual, and natural value, Covadonga is believed to be the origin of the first Christian Kingdom of Spain. Going all the way back to the 8th century, it was where the Battle of Covadonga was fought by King Pelayo. There, the Islamic conquest of the Iberian Peninsula was driven back and kept from ever conquering the region of Asturias. Above Image – The Santa Cueva de Covadonga. The Basílica de Santa María la Real de Covadonga, a Catholic church that looks like a fantasy movie film-set. The statue of King Pelayo, legendary first king of Asturias who drove out the Moors in the Battle of Covadonga. 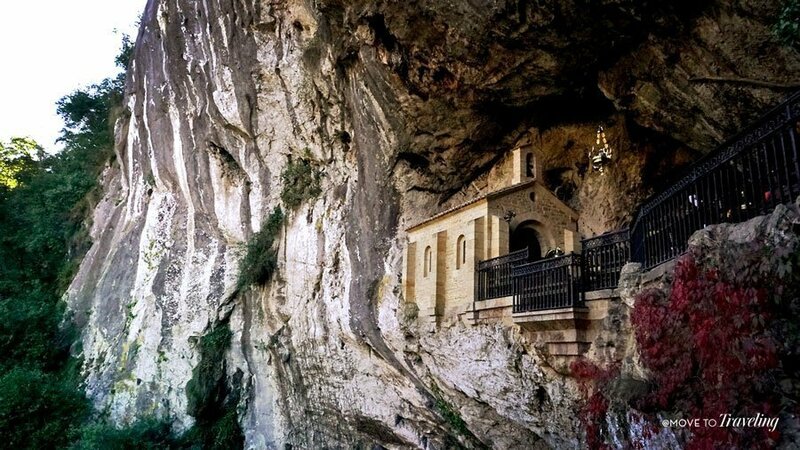 The Santa Cueva de Covadonga, a chapel carved into the overhanging rock face of the mountain that houses the shrine of the Lady of Covadonga. There is also a massive hallway in the cave there, that provides a walkway to the Basílica. The sacred spring that flows from under the Santa Cueva de Covadonga. The two Lakes of Covadonga. The nearby town of Cangas de Onis. The historical sites of the pre-Roman church, the Chapel of Santa Cruz, and an ancient Roman bridge, both in Cangas de Onis. Visiting Covadonga, and especially its high-mountain lakes, is definitely a mountain visit. So to be prepared and have the best time, here’s some key things to keep in mind. Allow for plenty of time to get there and back. Covadonga can be about a 40-minute drive from the highway A-8, exit 319. Conditions driving in these mountains can be very foggy, rainy and dark, with winding mountain roads. In the winter it definitely gets snow and we recommend not visiting during winter months. Covadonga is not really a town, but a pilgrimage site. It is primarily composed of its magnificent basilica which is the main site, the cave and shrine of the Lady of Covadonga, a lovely 4-star hotel and restaurant, and a handful of some other restaurants and shops located just below the basilica, most of which are only open during the summer season. Just next to the Sanctuary, is the mystical chapel and shrine of the Lady of Covadonga. It is carved into an impressive overhang of the mountain rock side itself. Just below is where a natural spring flows out, and the waters have been considered sacred for centuries, going back to even pagan times. Going in the summer can mean a lot of crowds and the road to get there may be traffic-packed and take longer. During these busier times, especially the height of the season in August, you have to park your car at lower parking lots and take a bus up higher to see the Lagos de Covadonga. Above Image – Lake Ercina, the higher of the two glacial lakes of Covadonga. Going in early October (when we went), can be a great time. Even then, there were quite a few people, but we were able to drive our own car ourselves further up to the lakes. This is free of charge. The drive from the Sanctuary up to the two lakes, can take about 20 – 30 minutes. While it is a well-paved road, it is also very curvy with steep drop-offs and no guard rails along most of the way. The Lagos of Covadonga (Lakes of Covadonga), are two glacial lakes, Lake Enol and Lake Ercina. They each have parking areas close-by and easy walking paths for visiting. There is also a cafe / bar at the parking lot of the highest one (so European to make sure you can have a beer at the end of that high road). This was actually open and packed when we were there in early October. Around the lakes, there are cattle and sheep that roam freely. This entire area, and along the road up, is still agricultural land and home to shepherds and the herds. So make sure to be respectful of the animals, and watch your step. Above Image – The glacial Lake Enol, the lower of the two lakes of Covadonga. For places to eat, we recommend any of the local places near the Basilica for lunch, and any of the various places in Cangas de Onis for dinner. There are also restaurants sporadically along the road up to Cangas de Onis and Covadonga, many of them boasting of traditional Asturian dishes. We had lunch at the restaurant in the Arcea Gran Hotel Pelayo, which had a fantastic view of the basilica. While some dishes were quite nice, the fabada was not very good, and overall it took longer. And speaking of the fabada, a very traditional and hearty Asturian dish, make sure to have some when in Asturias. For maximizing your time up at the lakes, take a picnic lunch, if the weather is good. Or, you can try the cafe at the highest lake, but we’re not sure how much food they actually serve. Above Image – A shepherd’s stone hut, just above the Lake Ercina. There are a variety of nice hotels, quaint boutique inns, and rural houses that you can stay in for visiting Covadonga. 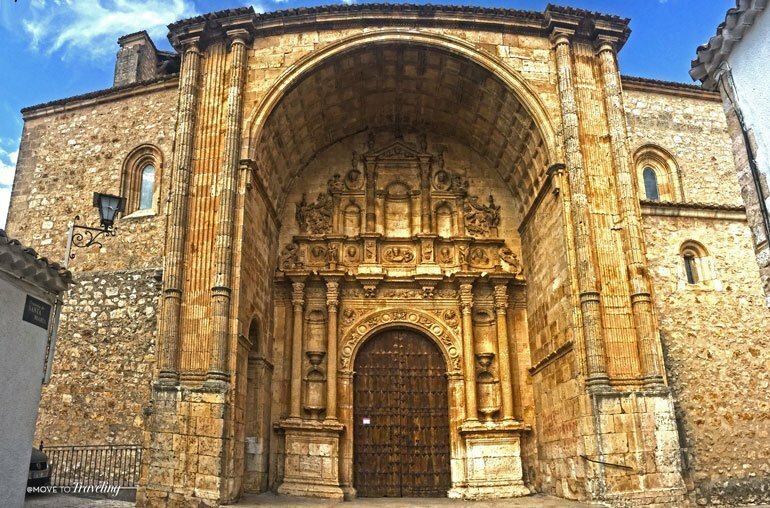 While there are a handful located nearest the basilica, many are along the mountain road up to Covadonga, and even more are in the nearby town of Cangas de Onis. Some of the more popular and nice ones are the following. Arcea Gran Hotel Pelayo, located closest to the basilica and in the heart of Covadonga. Parador de Cangas de Onís, which is in the nearby area called Villanueva de Cangas de Onís. We really lucked out on our visit to Covadonga and its lakes, because aside from some fog on the drive up, we had the most gorgeous weather. It was clear blue sky and a warm, bright sun all day for us. The air was cool and crisp, especially in the shade, but in the sun it was wonderful. 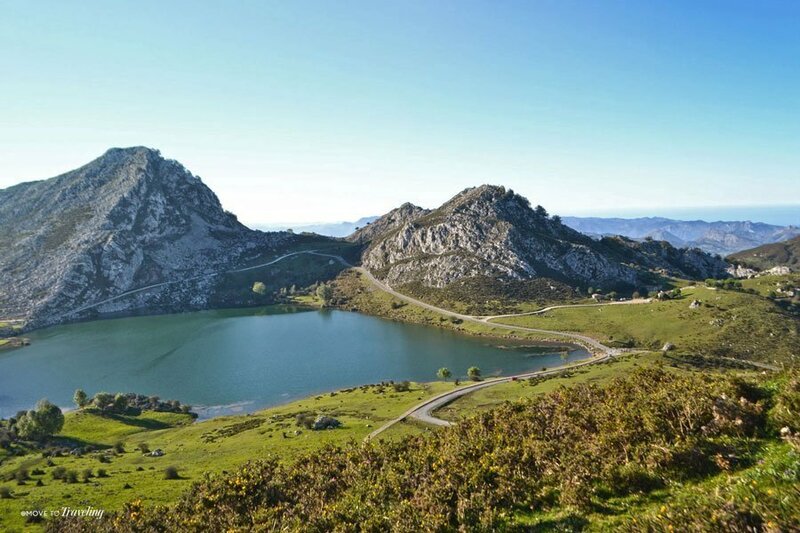 If you love the outdoors and hiking, we definitely recommend visiting Covadonga and its lakes. Even if you’re not into hiking, the good roads make it nicely accessible and the views are stunning. Not to mention, that seeing The Sanctuary and the shrine of the Lady of Covadonga, is worth a visit in and of itself. Above Image – The ancient Roman bridge in Cangas de Onís, still standing and crossable. This was the pleasantly unexpected discovery of our day visiting Covadonga – the mountain town of Cangas de Onís. Located about halfway from Covadonga to the highway, we decided to drive straight through the town on our way back down, rather than around it as we had earlier that day. There was one particular, and worthwhile historical site we wanted to see here. It was sunset and the changing of the colors was such a beautiful site across the dark-green valley and in the charming town-center. But most appealing of all, was the vibrant energy. There were people on the streets, cafes and shops open, and families at the playground and park in the very center. We also noticed that the buildings were quite attractive, maintaining a classy, consistent style rather than a hodgepodge of poorly built apartment buildings from the 70’s and 80’s. Above Image – The Santa Cruz Chapel in Cangas de Onís. We parked just on the other side of the Sella River which passes right through the town (another charming feature of it), and admired the nice walking paths that exist to stroll along the river and through town. The historical site we wanted to see was the famous Roman bridge. This beautifully preserved stone bridge dates back to the 14th or 15th century. You can even walk across it and it is nearby the other most prestigious site for Spain – the church of Santa Cruz de Cangas de Onís. 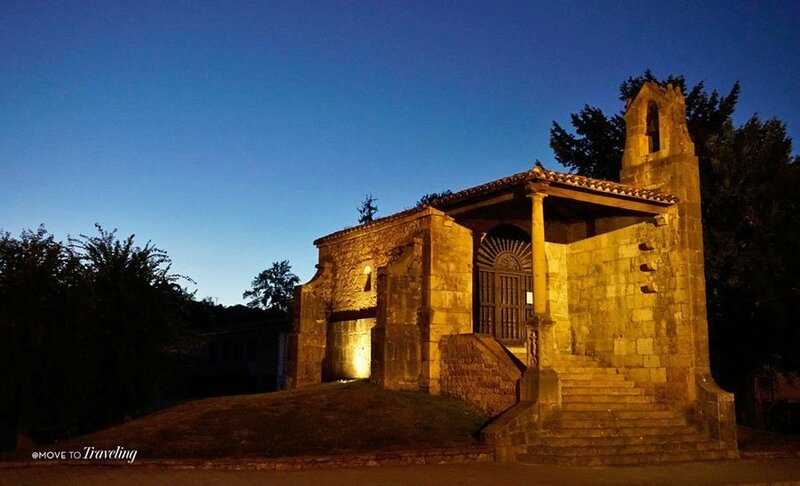 This ancient iglesia was constructed in 737 on top of a dolmen (a megalithic burial chamber), and is the first church that was built in what is called the post-conquest Iberia, after the Islamic conquest was driven away from this part of Spain. 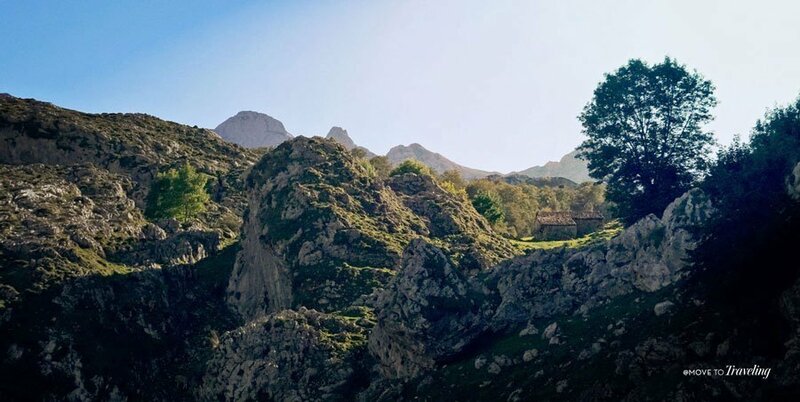 For us, visiting Covadonga is also an opportunity to enjoy the beautiful nature of this part of Spain. 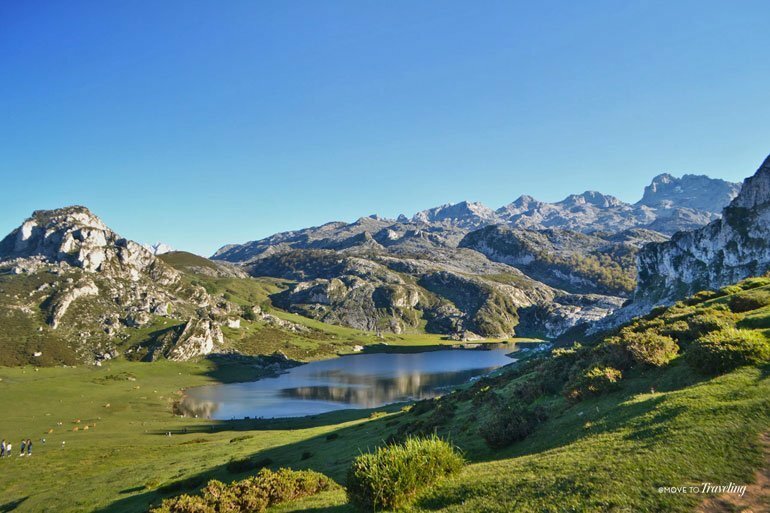 We highly recommend staying a night or more in Cangas de Onis as a base from which to enjoy the lakes and hikes of Covadonga and the Picos de Europa. We certainly look forward to returning one day and doing just that. On this day, we said farewell to Asturias and journeyed south through the middle of Spain to our next destination – Alarcón. It was a long day of driving, taking about 7 hours, plus up to another hour depending on stops. We chose to not make many stops or see sites along the way, and instead beelined it for the medieval village of Alarcón. The following places are just along the route that we took and are great sites to consider visiting if you have the time. The village of Santillana del Mar, and its Altamira Cave of prehistoric paintings. 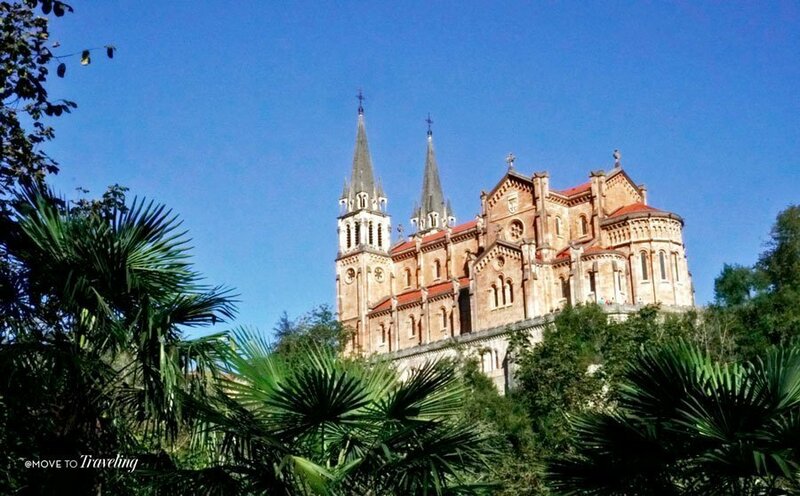 Another alternative to staying the night in Alarcón, is Cuenca, a charming town famous for its hanging houses and a beautiful monastery turned hotel, the Parador de Cuenca. This small town is bigger, and more lively, than Alarcón. Above Image – Family photo at the viewpoint just before the entrance into Alarcón. There’s only one way in and out. 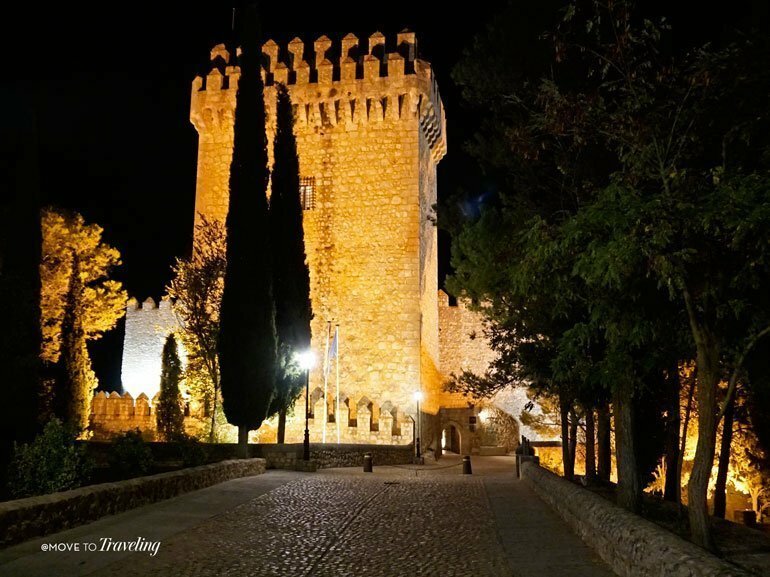 We chose to stay the night in Alarcón, to give our guests an amazing castle and medieval village experience that truly feels like going back in time. Having visited before for an afternoon, we also knew that there are beautiful hiking trails around the village that we could enjoy in the morning. Arriving before dark is the best thing to do, because driving into the village can be a bit harrowing. You enter on a one-way narrow road that passes through the original medieval gate in the wall that encircles the village. We then enjoyed strolling through the village in the sunset light, which was beautiful. Stopping at the pharmacy, the local owners were very friendly and enjoyed talking with us about the village. As a couple, they had been there for over ten years and they told us that the village has less than 150 inhabitants! Above Image – The Church of Santa María in the center of the village. Visit the Castle of Alarcón: This epic fortress is impressive, and today is a Parador Hotel. If you are not staying in the castle, you can hire a local guide to give you a tour, or you can see the main dinning hall area that today is a restaurant, and the small entrance courtyard. Eat dinner in the Castle of Alarcón: We did not stay at the hotel, but had dinner there. It was a wonderful experience that we would definitely do again and recommend. Hiking / Walking: Choose one or more of the various trails that go past the still remaining stone walls that surround the village. 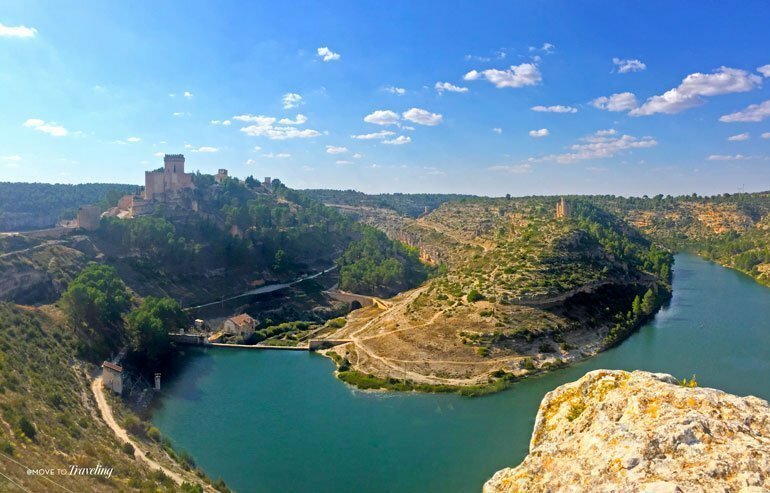 You can choose among trails that go along the River Jucar in the gorge, up on top of the plateau above the gorge, and to the five medieval watchtowers that still remain above the river. There are also two roman stone bridges that the trails go across down in the gorge. Visit the 16th century church of San Juan Bautista in the village, which was built on top of an ancient Romanesque temple. You can also enjoy the gorgeous murals of Jesus Mateo that are housed here, and have been given UNESCO patronage. See the Santa Maria church, a beautiful renaissance-style church located in the very middle of the village. Enjoy strolling through the village’s stone streets and among its old-world buildings, seeing sites like the Plaza Mayor, the town hall, and taking in the fantastic views. The best source for information on all the sites and trails is to visit in person the Alarcón Tourism Office, where they have printed maps. Otherwise, the online resources are quite limited and non-existent. Above Image – Walking into the Alarcón Castle at night. La Cabaña de Alarcón is a blend of modern interior and eccentric art. The food was delicious, local cuisine, and they have a terrace for when the weather is warm. The place is quite popular among people in Madrid who visit for lunch on the weekends, so make reservations. The Tienda della Nonna is owned by the sister of the owner of La Cabaña de Alarcón. She is a friendly, wonderful woman who keeps this charmingly cozy shop. It’s the perfect place to sit down for a sandwich and drink, a local artisan beer or wine, and to buy some delicious picnic goods. Keep in mind that the village does not even have a typical supermarket. From what we saw, this shop is the closest thing. Don Julián Restaurante. This is a traditional tavern-style establishment which has a great view of the castle from its front patio. We did not get to eat there, but good friends visited only a month after us and said it was delicious and had wonderful wine. Above Image – A majestic view of Alarcón and the River Jucar below. We stayed in a lovely rural hotel called Casa Rural el Hidalgo del Alarcón, which is right in the village. It was a wonderful option and so inexpensive. Each room is distinct, with handmade wood panelling and antique furnishings. If you’re traveling with a group, the entire hotel can be rented as a home as well. This can be ideal, since there are 7 rooms and a common kitchen and living and dinning area. Of course, the Parador de Alarcón is always a great option for the experience of staying right in the castle itself, but the weekend we were there was a holiday weekend and the prices were much more expensive. There are also several other apartments and boutique hotels in Alarcón to consider. If it’s the summer months or a festival is going on, we recommend booking something, because there is not as many options since the village is so small. Waking up in Alarcón, we ate a wonderful homemade breakfast at the new Hierba Luisa Hotel, which is right next to where we stayed. Then we ventured off to walk the trail along the River Jucar down in the gorge. It was a beautiful and an easy hike that took a little over an hour, but we took our time, so it could be done quicker if desired. Then, before getting on the road again, we ate a great lunch at La Cabaña de Alarcón. From Alarcón to our next destination of Denia, is only about 2.5 – 3 hours by car. This route that we took is a toll road, but great news – at the end of 2019, there will no longer be tolls for this highway. Ah, there’s no place like home. Especially our home in Denia. We certainly love to travel, yet it’s great having our home base in Denia to return to. This time around was especially endearing because we got to welcome Amalia’s dad and stepmom to our home and Denia for their first time. 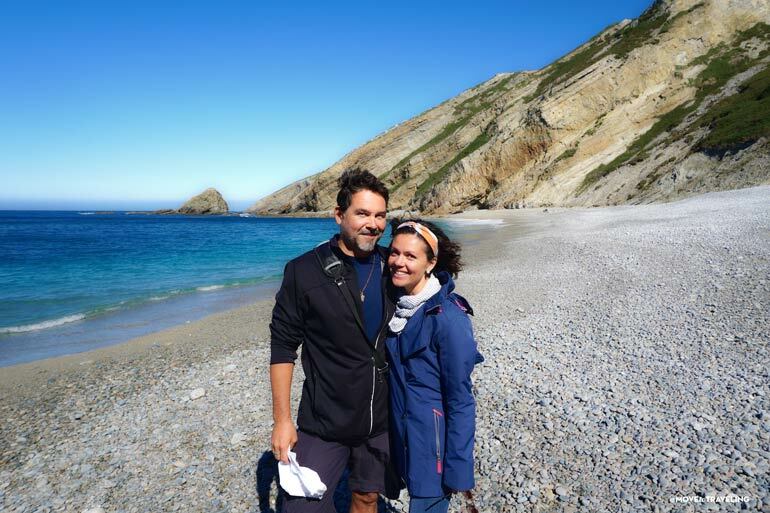 Here’s the variety of things that we did so that our guests could really experience the local Spanish culture in this area and its beautiful nature. Let it inspire you in what you can do while on the Costa Blanca. Above Image – A view of Montgo Mountain from our home in Denia. Touring the Castillo de Denia (Denia’s Castle). This is one of Denia’s most charming sites and is located in the heart of the town. We love our Denia Castle! It’s only 3€ per adult to enter and includes entrance to the intriguing archeological museum at its top level. 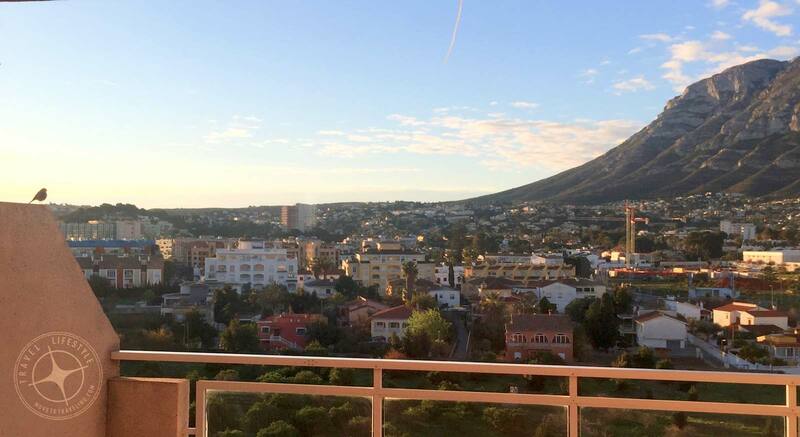 From all sides, there are gorgeous views of the town, the Montgo Mountain, and the sea and coastline. Shopping at the mercado de viernes, the Friday local produce market that takes place weekly, just outside the Mercado Central de Denia. Sailing along the Costa Blanca. We chartered Punta Estrella, our favorite local sailing company here in Denia. Bike riding the Via Verde. This, and many other beautiful bike paths, exist throughout this area. There are also nice bike paths in town and riding along Las Rotes or down Las Marinas can be lovely as well. We rented our guests their bikes at My Denia Rent here in Denia. Walking through the two marinas that Denia has, the Marina el Portet and the Marina de Denia. Each of them are great places to enjoy a nice lunch, dinner, or simply drinks. Above Image – A view from the Marina Portet of the castle, town and Las Marinas Beach. Walking along Las Rotas (Les Rotes in Valencia), the gorgeous rocky beach that is the picturesque epitome of the Mediterranean. Snorkeling with the friendly fish in the turquoise clear waters of Las Rotas. Yep, even in early October we were able to get in the water! It was definitely crisp, but we were fortunate to enjoy some of the last swimmable days of the season (at least by our own cold water standards). Watch our Chasing Fish Video: Snorkeling in Las Rotas Spain. Take the Mundo Marino Mini Cruise around the Cabo San Antonio (Cape San Antonio) to the town of Jávea (Xábia in Valencia). While this beach town is known as being more developed and influenced by foreign expats, it has a charming historical district and a beautiful promenade with restaurants and cafes along the seaside. Eat, Eat, and Eat some more! While we enjoyed cooking at home, we also enjoyed some great meals out. After all, Denia is designated by UNESCO as a Creative City of Gastronomy. There are over 350 restaurants in this little Spanish beach town, so there’s no lack of opportunities to get a taste of the culture through its cuisine. There is truly so much to enjoy in Denia, especially if you love the sea and want to experience local culture, great food, and discover more about the ancient history of this part of the Mediterranean. For ideas on where to stay, we can highly recommend the Hotel Nou Roma. 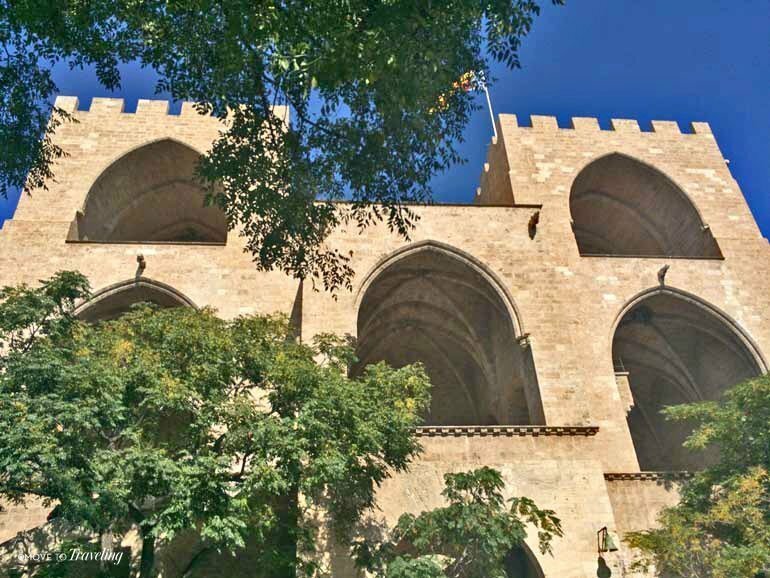 Above Image – The Torres de Serranos, one of two historical towers you can tour in Valencia. This is another point in the trip where you can see more by spending some days and nights in another place on your way back to Madrid. Any of the places mentioned previously could be great for this, like the town of Cuenca. Yet our recommendation is to visit the city of Valencia for two nights on your return to Madrid. This mediterranean city is our favorite in Spain and is loaded with historical and modern delights. It’s a place for experiencing one of Spain’s most distinct and welcoming regional cultures, the Valencia Community. If you choose to spend time in Valencia as part of this Spain itinerary, set yourself up with a great location in the historical center, the Barrio del Carmen. Check out the Valencia Tourist card for getting great savings on using public transportation and seeing the sites. Above Image – Valencia’s City of Arts & Sciences complex, with the opera house, Palau de les Arts Reina Sofia, to the left. And, of course, here’s our favorite sites for truly experiencing the cities rich history and beauty. Torres de Quart. Twin towers that were built in the 1400’s as a defense and a gate as part of Valencia’s city wall. Torres de Serranos. One of two remaining towers and gates of originally 12 gates that stood as part of the ancient city wall from the 14th century. Long de la Seda. The old-world silk exchange building. Plaza de la Reina. Located at the front entrance of the Valencia Cathedral. Plaza de la Virgen (also called Place de la Mare de Déu in Valencia). Home to the Turia Fountain and where you can sip on the local cocktail drink Agua de Valencia, at one of the many picturesque cafes. Stroll along the Carrer dels Cavallers that extends from the Place de la Mare de Déu into the Barrio del Carmen. Plaza del Ayuntamiento. The main large plaza of the city where the town hall is located. Flower stands are regularly here and events during holidays and fiestas. The Ayuntamiento (Town Hall), which can be toured inside. It’s also where the Valencia Tourist Office is located. Enjoy the Horchateria de Santa Catalina. It’s one of Valencia’s oldest horchaterias where you can drink the traditional, local drink horchata with tasty fartons (a local pastry that is like a sweet breadstick). They also have delicious hot chocolate and artisan ice cream. Visit the City of Arts and Sciences and admire its out-of-this-world modern architecture. 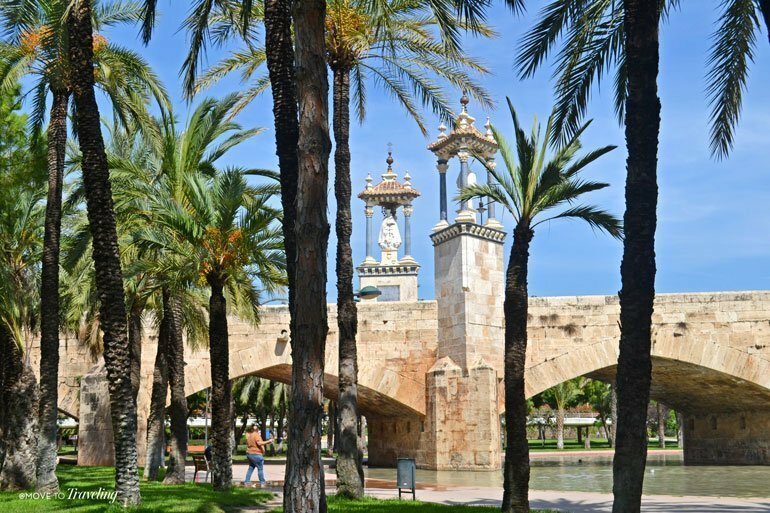 Walk or ride bikes down the Turia Riverbed Park (also referred to as Turia Gardens) and see its historical bridges. It’s also a fantastic place to go running. See the Plaza de Toros (Valencia’s Bullring) for its architectural beauty and cultural history. There’s much more to see in Valencia. It truly is a great city and somewhere worth staying a longer time and revisiting. Now our journey has brought us back to where we began, Madrid. Even though our guests were flying out in the afternoon, we recommended to them that they get to Madrid the day before and stay their last night there. This way, they had plenty of time to make it to the airport and could relax and enjoy some things in Madrid that they didn’t see at the start of the trip. In our particular situation, our guests stayed with us in Denia until the day before they were to fly out of Madrid. The morning of day 14, they drove in their rental car up to the Madrid Airport to return the vehicle. Then they got a taxi into the city-center area called ‘Austria’, where they stayed in a hotel near the Royal Palace. There’s something so enjoyable about taking the train. We think it’s a great way to travel. If you feel similar and want to enjoy portions of the trip traveling by train, you can consider arranging your rental car for shorter portions of time and returning it to a different location. 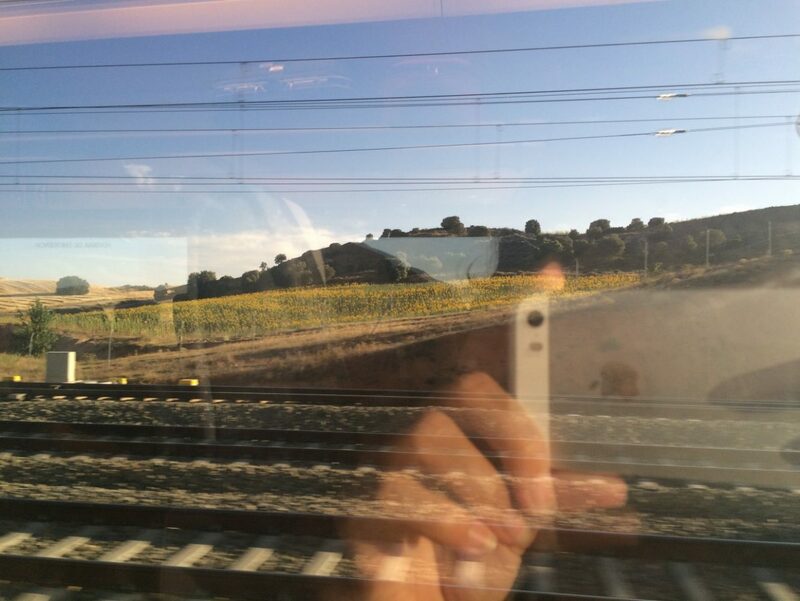 In addition to the possible train route from Madrid to Asturias (mentioned earlier in this post), we recommend taking the train from Valencia to Madrid. The AVE speed trains go numerous times a day for this route and the trip takes just under two hours. Take note that there are two train stations in Valencia, the Nord and the Joaquin Sorolla. The AVE trains that go to Madrid, leave and arrive from the Estacion Joaquin Sorolla. Keep in mind as well, that the train route between Valencia and Madrid passes through the town of Cuenca, which we mentioned earlier as another great option for visiting. 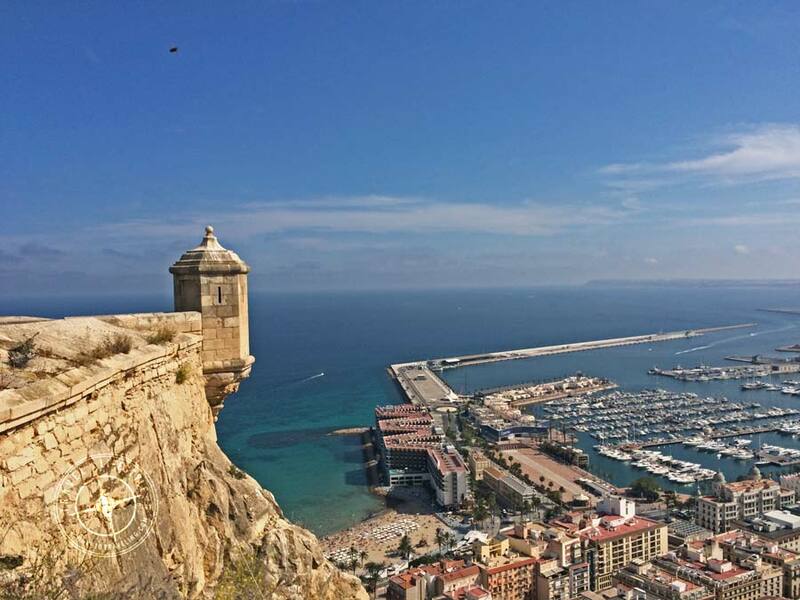 Above Image – A view of the marina from the Santa Barbara Castle in Alicante. While we chose Denia as our ‘long-stay’ in this Spain itinerary, you can choose to split up your time visiting more places for a Costa Blanca experience. We recommend the charming mediterranean white village of Altea or the vibrant port city of Alicante, which has an impressive castle. The Marina Alta is a smaller area of the Valencia Community called a comarca. Denia is its capital and, while it encompasses exquisite coastline, it also goes inland. If you like mountains and the outdoors, you will especially love exploring this nature-rich land. There are countless trails for hiking that take you through villages, remaining ruins of roman watchtowers and mills (called molinos in Spanish). Full of small villages and ancient historical sites, this area is known for wonderful agriculture, wines, food and artisan crafts. One of the most popular is Jalón (Xaló in Valencia), which is known for some bodegas that make local artisan wines. How Will You See Spain? 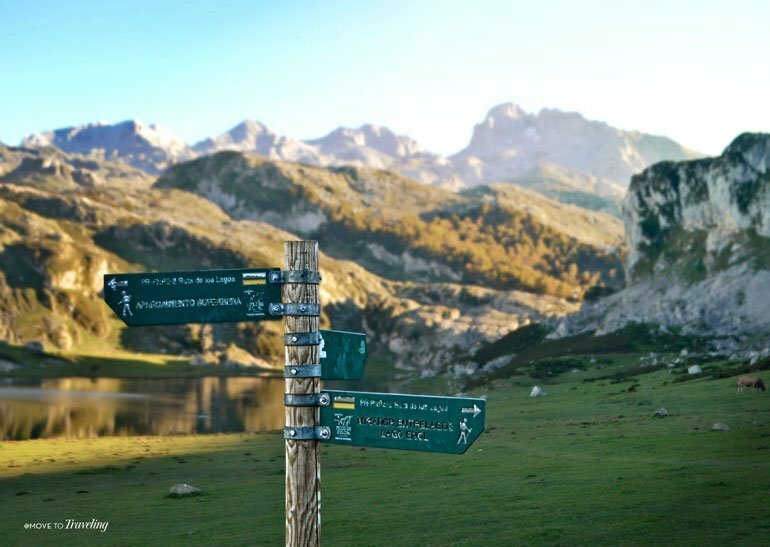 Above Image – Hiking signs at Lake Ercina, one of the two lakes of Covadonga. Getting to see Spain by visiting a portion of its northern and southern coast, and some in the middle, is an incredible way of experiencing its diversity of terrain and culture. 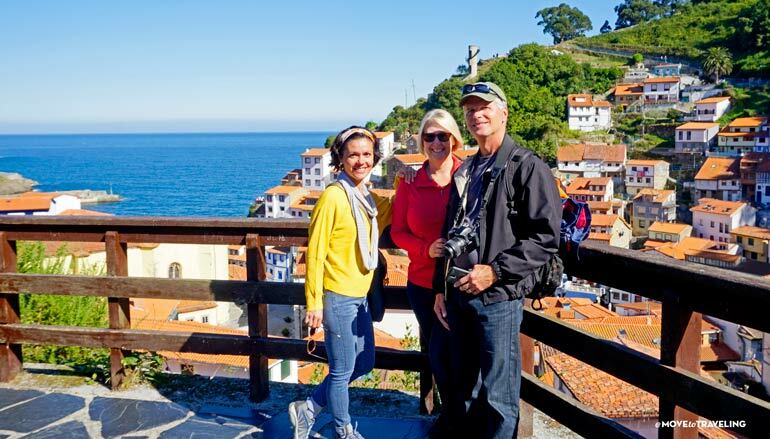 For our guests, the point of this Spain itinerary was to experience the lush green dramatic cliffs of Asturias and its rural villages, visit a medieval castle, and live the local culture on the Mediterranean home-base of their family now living in Spain (that would be us!). We made sure to craft in there a good introduction to Madrid as one of Spain’s best cities to visit and for seeing the magnificent blend of old-world and modern, as only a European city can boast. Us Americans especially love this. Any Spain itinerary is never actually ‘complete’. There are always ways to customize and adapt it to your own travel desires for experiencing this incredible country. We hope that this gives you a great base from which to start. What do you think of our Spain itinerary and what is your’s like? 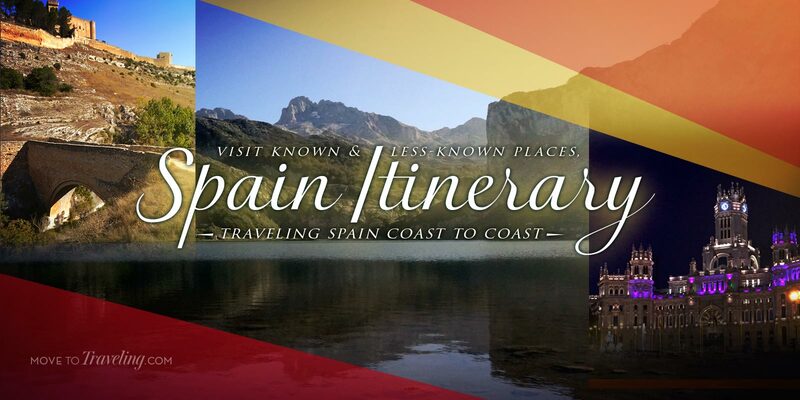 We would love to hear of your own experiences visiting this part of the world, wherever it takes you in Spain. Let us know in the comments below. Beautifully written! I could not have done this perfect myself! Great job on describing enchanting Spain, my father´s beloved homeland. Thank you! We’re so glad that you enjoyed the article. It was a great trip and we look forward to discovering more about Spain.